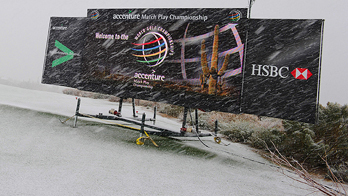 WGC Match Play snowed off! I really enjoy watching the World Match Play event from Arizona every year. 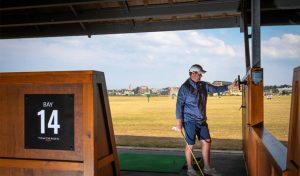 It makes me feel that the golf season is not far away, and getting to see the world’s top 64 players compete at Match Play is also a nice change. Imagine my disappointment on Wednesday when I retired home for an evening of viewing, only to find play had been stopped…because of snow! The desert is usually blessed with unbelievably calm, perfect golfing conditions; but not on this day. Instead of hitting practice balls, the players were reduced to throwing snow balls! The delay was an inconvenience but I also found it refreshing to see how well the players reacted to the inclement weather. Instead of becoming frustrated and annoyed by the conditions, most saw it as an opportunity to relax, chill and have some fun. Trying to conduct a semi-sensible television interview became almost an impossible task for Sky Sport’s Tim Barter as he and his guests were bombarded by ice and slush objects. Even the world’s number 1 player was not exempt as Rory found a few of the white snowy objects flying around his head. So what can we all learn from this? Well, I think taking a page out of the pro’s book and becoming more patient. Serious preparation would have gone into getting ready for this event, but the players realised the weather was out of their control and went along with it. The next time something doesn’t quite go to plan for you, either before or even during the round, don’t take it to heart so much. Instead take the positives and try to overcome the obstacle that is in your way. Remember, it takes more muscles to frown than to smile. So let’s remember why we’re out there and have some fun! Even if at times this winter weather may get us down…the season is coming! In terms of the Match Play, I really like the way Fredrik Jacobson has come back into form, and with his putting boots on he is a real threat. Who’s your pick for this week? 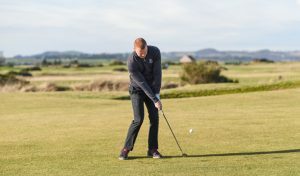 Words by Blair Cross, St Andrews Links Golf Academy pro. 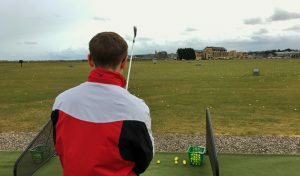 Visit our Golf Academy page here.